Bidens coronata.Josh Sulman.Robert W. Freckmann Herbarium. University of Wisconsin at Stevens point.wisplants.uwsp.edu (Accessed5/2014). Bidens coronata is an annual or biennial herb, 30 cm to 1.5 m tall. Leaves opposite, to 15 cm, pinnately divided, 3-7 narrow, toothed segments, leaf stalks ca 1 cm. Bidens coronata flower. Photo by Kim Hosen, Merrimac Farm, August 2008. Prince William Alliance. pwconserve.org (Accessed 11/2017). 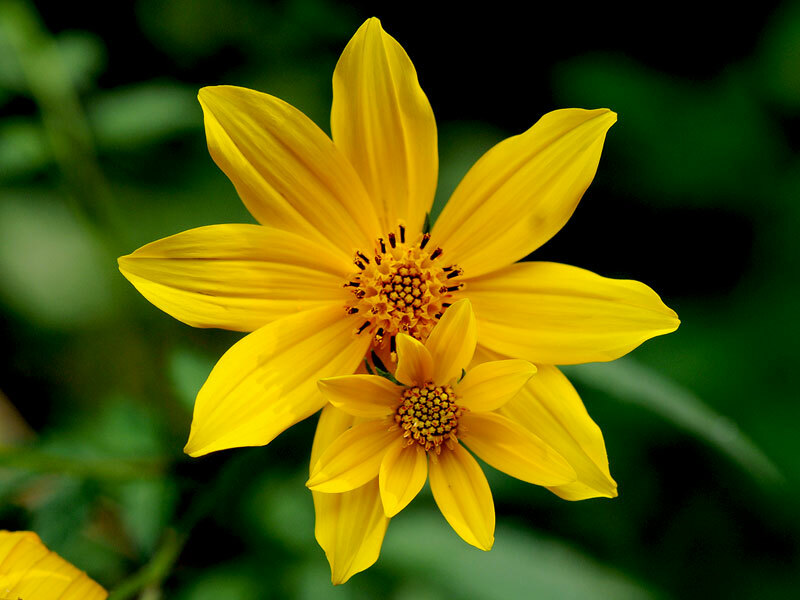 Flowers bright yellow, showy, rays about 8, large, 1-2.5 cm long, disk yellow, 0.8-1.5 cm wide, anthers longer than disk flowers, purple-black, blooming and fruiting July-Oct.
Fruit dry 1-seeded achenes, flattened, with 2 horn-like awns. Seeds eaten by birds, plants eaten by rabbits (Martin et al. 1951). 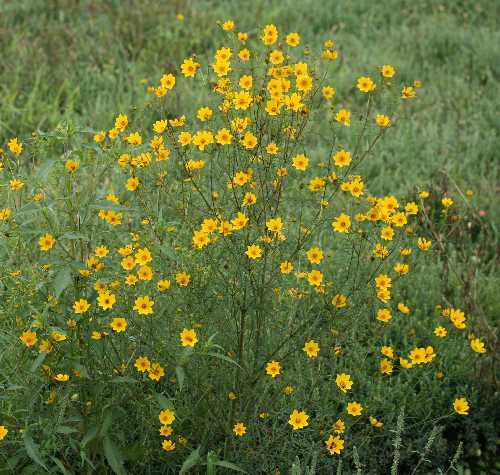 Habitat: Open wet areas, roadside ditches, soil pH 5.2-7.1 (USDA 2006).